THE Socceroos entrance door has remained ajar for A-League players with new boss Bert van Marwijk picking three new local faces. 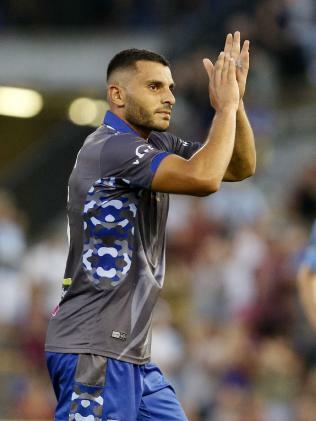 Newcastle Jets' star performers Dimi Petratos and Andrew Nabbout - who was earlier this week sold to Japanese club Urawa Red Diamonds - won their first call-ups while Sydney FC midfielder Josh Brillante is recalled. 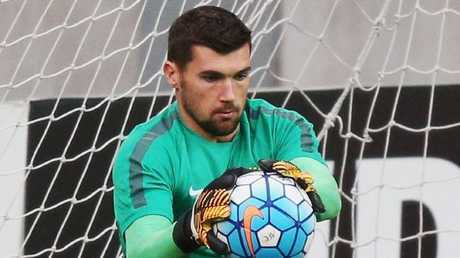 Feyenoord keeper Brad Jones, Hibernian striker Jamie Maclaren and Millwall left-back James Meredith also got the nod while Czech-based defender Alex Susnjar has been rewarded for a stellar AFC Under 23 Championships with the Olyroos in January. Russia 2018 qualifying stars Mile Jedinak, Aaron Mooy, Mathew Leckie, Tim Cahill, Mat Ryan, Tom Rogic, Mark Milligan and Trent Sainsbury are all included in the extended 29-man squad. 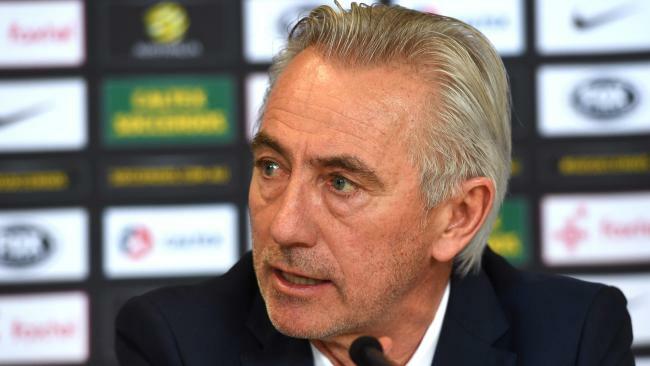 "Since my appointment my staff, scouts and I have monitored over 100 Australian players in the A-League, as well as in leagues across Europe and Asia," van Marwijk said. "We are pleased with the initial 29 players we have picked for our upcoming games against Norway and Colombia and will finalise the squad next week. "There are still a couple of weeks before the group gathers in Oslo, so we will continue to monitor the health and fitness of all the players in the preliminary squad, as well as those on our longer list of potential World Cup squad members. "Our upcoming matches against Norway and Colombia will provide a great chance for the players selected to press their claims for Russia, however the door remains ajar for all players not picked for the March window." New Socceroos head coach Bert van Marwijk. 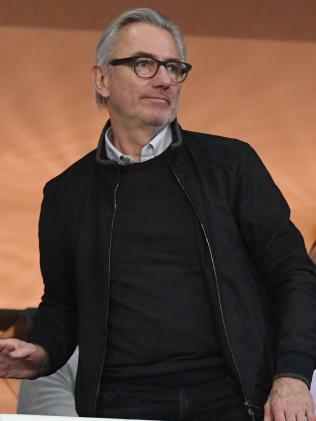 Dutchman van Marwijk will trim the squad to as little as 23 before the Norway and Colombia friendlies in Oslo and London respectively on March 24 and 28. Regardless of the final make-up of this squad, which will be the only players' chance to impress van Marwijk in a Socceroos camp before the extended World Cup squad is picked, his inaugural selection will give hope to the fringe players. Melbourne City's Daniel Arzani and Melbourne Victory's Rhys Williams are among the locals pushing for inclusion, while German second-tier winger Brandon Borrello can consider himself unlucky having starred in recent weeks. James Troisi (Victory) and Josh Risdon (Western Sydney) are the other A-League players picked in the squad, though they were part of the Honduras World Cup qualifiers. Van Marwijk was clearly impressed with Jets duo Nabbout and Petratos (19 goals between them this season), who were among the players he watched live on the weekend after he was unveiled last month.